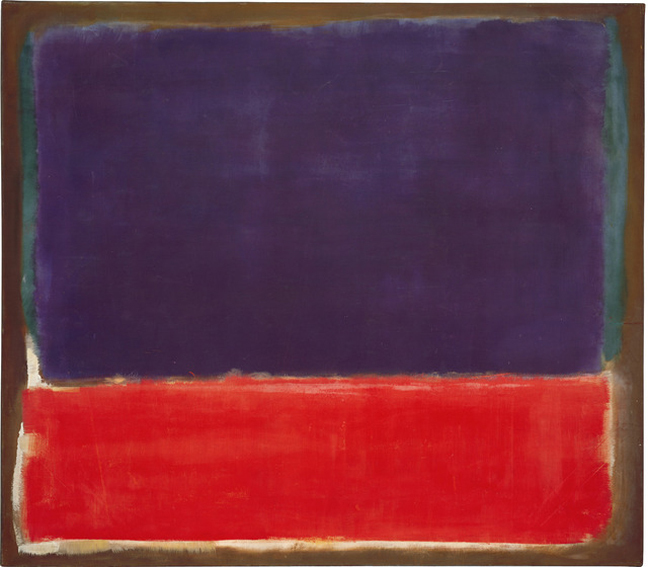 New York – Pace Gallery is pleased to present Mark Rothko: Works on Paper 1941 – 1947, an exhibition of more than 30 works on paper by the seminal artist. The exhibition will be on view at 32 East 57th Street from May 2 to June 21, 2014. This is the twelfth Rothko exhibition presented by Pace since 1978 featuring works from the artist’s estate and heirs. It is accompanied by a fully illustrated catalogue with an essay by James Lawrence, a critic and historian specializing in postwar and contemporary art. Executed in watercolor and in some cases ink, graphite, or charcoal on paper, nearly all of the works range from approximately 20 x12” to 41 x 27” in size, and a few have painting on both the recto and verso. Mark Rothko: Works on Paper 1941 – 1947 presents works from a rich period of experimentation and innovation. As Lawrence notes in his catalogue essay, Rothko’s approach “shifts among layering, modeling of contours, and expressive scribbling that allows the sweeping tonal fields to serve as form, ground, or atmosphere“. He later adds that by the mid-1940s, Rothko’s “allegiance to conventions of spatial order in painting had withered to the point where depth and contours could barely be detected, much less interpreted… Rothko used the fluidity of watercolor to erode distinctions and diminish resolution. The results convey realms of emergence or submersion“. 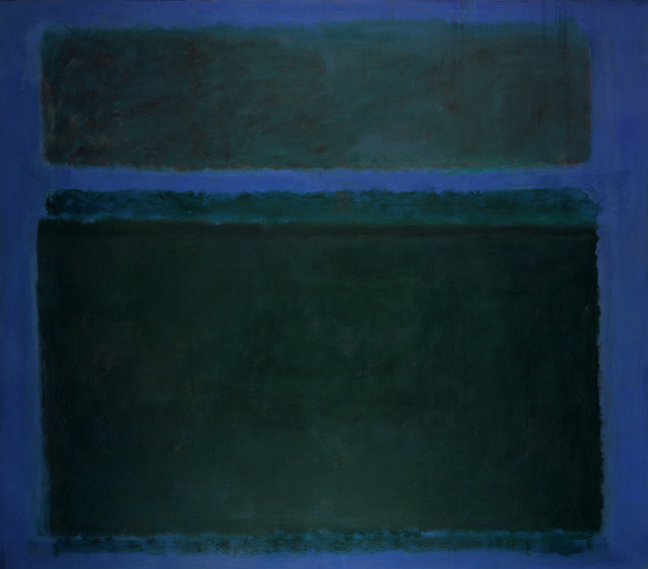 None of the work in the exhibition bears a title as, throughout the period of the exhibition, Rothko sought a visual expression of deeply psychological and spiritual states. 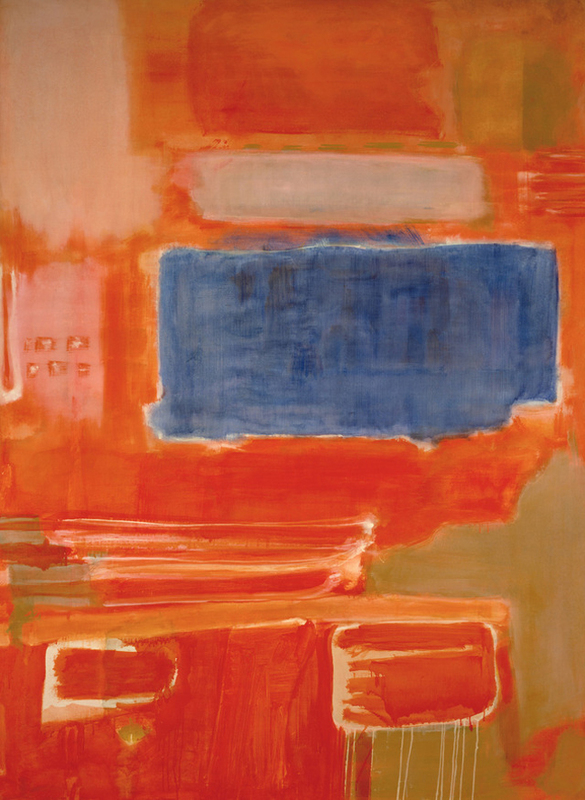 During this highly experimental period, Rothko explored a wide range of palettes, from soft grays and blues offset by muted reds to vibrant blues and reds to heavy browns and dark grays. The drawings on view suggest human figures and loosely defined biomorphic shapes that, like watercolor, bleed into their surroundings, though his technique was highly varied. 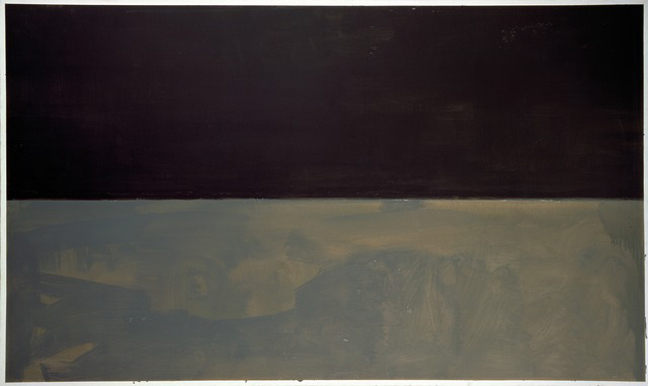 “Throughout the watercolors from this period”, Lawrence writes, “the range of techniques that Rothko employed proliferated dramatically. Varieties of scribbling, graffiti, dry brushing, scraping, soaking, rubbing, and techniques for which no name exists, emerged and thrived”.